Goddess Saraswati is believed to be the Goddess of knowledge. Goddess Saraswati is worshipped during the Dassera or Navaratri festival. Goddess Saraswati is worshipped on the day when the star of the day is Moola or on the day when there is Moola nakshatram. 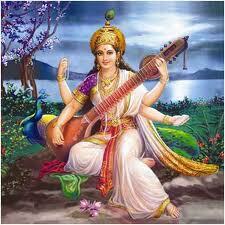 Goddess Saraswati puja this year is on Sunday, 11th October 2043.